February 2011 | MMA Fighting Events Videos Techniques UFC Fight Picks and News. When was the last time BJ Penn had an easy fight? Yup, I can't remember either. 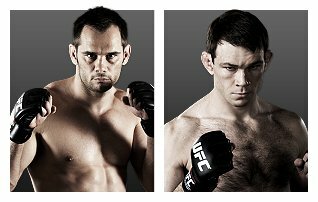 The fight with Jon Fitch at UFC 127 will definitely not be one. 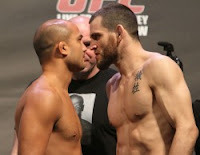 The result of this fight at UFC 127 will be the most significant driver of BJ Pen's future in the UFC to date. He can't afford a loss, but a win against a tough wrestler in Jon Fitch is going to be a daunting task. So how can BJ Penn insure a positive future in the UFC. Obviously it's a win. But how will a win happen versus Fitch? Fitch has a good chin and will be able to take Penn's punches. Fitch is an outstanding wrestler and at some point will get the fight to the ground. Fitch is excellent at staying out of submissions and he knows to grind out fights. Winning against Fitch is going to require the best BJ Penn to enter the UFC cage that night. A great takedown defense, crisp clean boxing, and a seamless strategy of attack when the fight hits the ground will all be required. Penn will have to keep Fitch guessing by utilizing all the tools in his MMA toolbox. If Penn can do this, he will be able to catch Fitch in a mistake or multiple mistakes. Penn is then going to have to be able to capitalize on those mistakes to insure positive results . If any of those aspects of BJ Penn's MMA game is missing or lackluster that night, he will lose. Penn is going to need all his MMA tools to work synergistically to win at UFC 127. 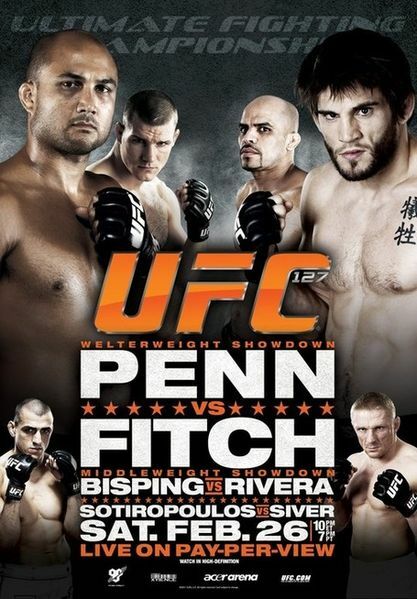 Positive results at UFC 127 will insure a title shot for Penn in the near future. A loss will surely stamp an enigmatic future in the UFC. On Friday February 18th, Spar Star Promotions brought MMA fans "Mayhem in El Monte 5". The rain didn't deter MMA fans that wanted to see chingasos on this night. The Florentine Gardens in El Monte was busy with fight fans eager to check out some MMA action. Leading off Mayhem In El Monte 5 was a middleweight match up between fighter Kevin Bostick (Pimpit) vs. Gukkas Stepanyan (Hyastan Academy). After a short feeling out process, Bostick landed a hard right that sent Stepanyan stumbling to the ground. Bostick didn't waste any time jumping into a ground and pound assault from a side position. Gukkas could do nothing to fend off the chingasos and the fight was stopped. Kevin Bostick wins via ref stoppage in the first round. Last week, on February 13th, Ring of Fire and Old School Promotions put on their fourth installment of their MMA event "Quake in the Cage". 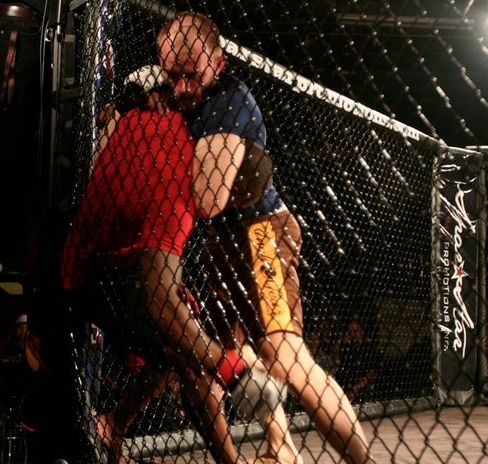 These MMA fights were sanctioned by the California Amateur Mixed Martial Arts Organization (CAMO). Chingasos MMA was invited to check out the action and we were able to bring back some video. 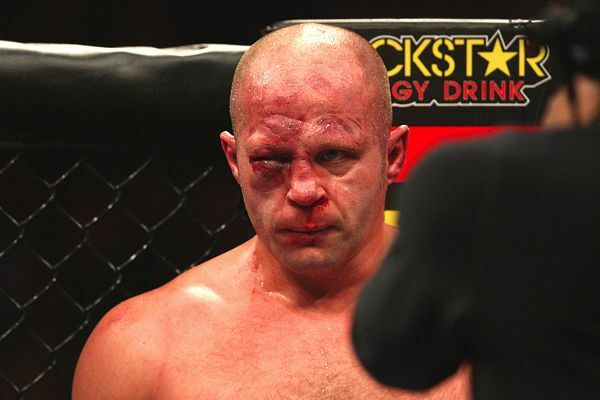 After getting his eye blasted and losing again, the question amongst MMA fans lingers, "Is Fedor Done in MMA?" In his post fight interview after losing to Antonio Silva in Strikeforce last Saturday, there was a moment were he eluded to being done. There seemed to be a collective "say it ain't so" moment as MMA fans heard this. Fedor's loss on Saturday was his second in a row. This loss was a tough one. His eye was blasted shut with chingasos from a huge man in Silva. 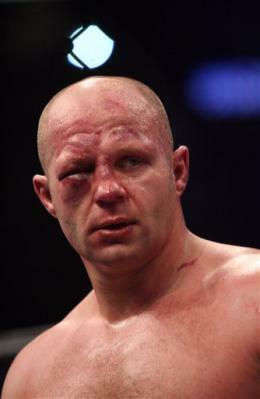 While he lost, the fact remains that Fedor survived the punishing round where his eye was hurt. Fedor was dominated that round, but he actually finished the round by going for a submission. He would have come out for round 3, but the fight was stopped due to the eye. Fedor lost, but he wasn't submitted nor was he knocked out. What was made glaringly clear in this fight was the evolvement of MMA and Fedor's future in the heavyweight division. Fedor dominated the heavyweight division in the Pride organization, but we now know that many of those fighters were not as evolved in the sport as they are now. Fedor weighed in for this fight at 230 lbs. Competing against Silva made it clear that he can no longer dominate MMA in the heavyweight division. Fighters in MMA are better now, and in the heavyweight division, just too big for Fedor to be dominant. While many might think he's done in MMA, I believe he's not done in MMA, he's done in the heavyweight division. Randy Couture is a great example of how someone about Fedor's weight can cut weight and make the light heavyweight division (205 lbs). I think Fedor still has the skills to dominate, but with the evolvement of fighters in MMA, it will have to be done in the light heavyweight division. Live from Santa Ana, California on February 13 was Quake in the Cage 4, pre-Valentine's Day gift for MMA fans. This cage fighting event was put on by Ring of Fire and Old School Promotions. The California Amateur Mixed Martial Arts Organization (CAMO) sanctioned the fights. All the fighters were ready to get in the cage and throwdown. However, before the action began, Ring of Fire decided to do a tribute for Rudy Valentino Ochoa, a fighter who passed away this past week. In a classy move, Ring of Fire decided to start a collection and to donate part of the proceeds to Rudy’s family. Since Rudy was a rock singer, rather than put on a minute of silence, the crowd honored him with 30 seconds of noise. 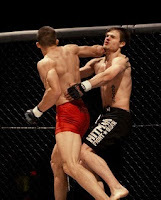 The spinning back fist is one of those techniques that when used in MMA, it can cause devastating results. The spinning back fist is not used often, but when a fighter tries it, and lands it, it's always a crowd favorite. It almost looks like a super pimp slap. I'm sure fighters hate getting hit with the super flashy chingaso! Check out the fight video of Arthur Guseinov landing a spinning backfist on Tyson Jeffries at M-1 Challenge on July 8, 201. This fight shows how sneaky, yet powerful the spinning back fist technique can be. Check out this free MMA video of Daron Cruickshank using the spinning back fist in MMA to finish of a fight against Rick Stettner at King of The Cage. That was a nice spinning back fist in MMA, but this one from Yahir Reyes taking out Estevan Payan at Bellator might even be better. Check out the MMA video. Wow! On Friday February 18th, MMA returns to El Monte. Sparstar Promotions brings back the 5th installment of their popular MMA event "Mayhem in El Monte". Mayhem in El Monte 5 will be a CAMO sanctioned MMA event and will take place at the Florentine Gardens in El Monte. This event will be filmed for a Nationwide Broadcast (also Canada) of a SparStar Promotions weekly hourly show "SparStarMMA" on PunchTV Network, launching later this year. Sparstar Promotions puts on good shows, so if you've been itching to watch some MMA action a.k.a cage fighting, definitely look into getting some tickets for this event. Sparstar promotions has done a great job using The Florentine Gardens as venue for MMA. The MMA cage is perfectly located inside the venue of easy viewing of the fights. They also have a full bar and areas to relax in between fights. Check out this free MMA video of a fight at the last Mayhem in El Monte event. Grappling legend Bill Cooper faces Eric sterns in the CAMO Championship final. Here's a quick highlight video of when Chingasos MMA visited the Spartstar event, Mayhem in El Monte, on July 30th, 2010. There was plenty of chingasos that night, and I'm sure there will be plenty at Mayhem in El Monte 5. The Florentine Gardens is located at 12051 Garvey Avenue, El Monte, CA 91732-3109. You can purchase tickets at the door. Tickets are $35. 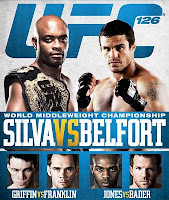 UFC 126 Silva vs Belfort went down today,Saturday February 5th, at the Mandalay Bay Events Center in Las Vegas, Nevada. Here are the UFC 126 results. 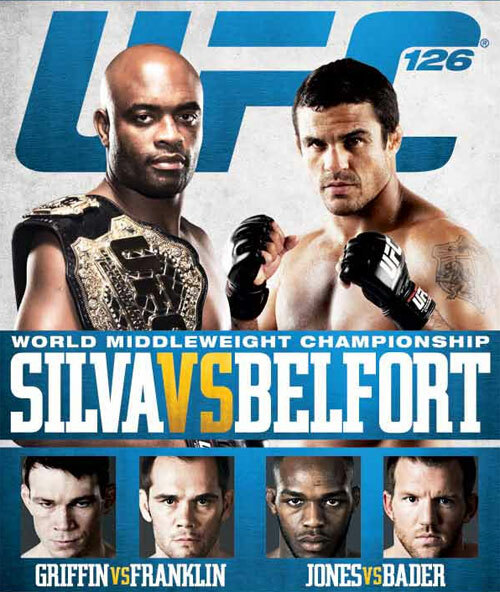 UFC 126 results for Anderson Silva vs. Vitor Belfort, were surprising to some, but expected for others. Anderson Sliva knocks out Vitor Belfort in the first round and holds on to the UFC middleweight title. Forrest Griffin wins in a unanimous decision. Results for this fight didn't disappoint Jon Jones fans. Jones dominates and wins via a guillotine choke submission in the second round.